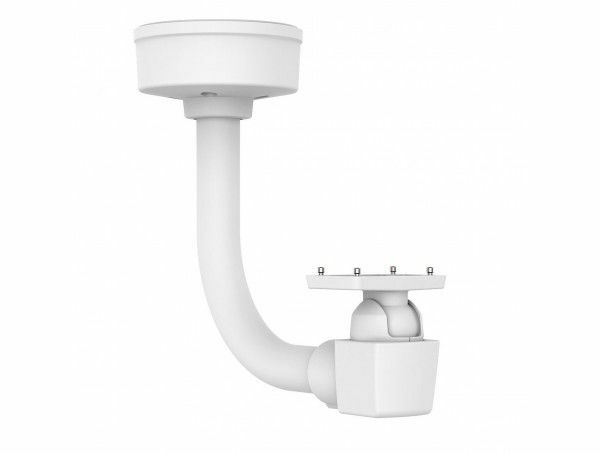 The powder-coated aluminum AXIS T94Q01F for AXIS fixed box outdoor ready cameras and housings, can be used for both ceiling/soffit and column/parapet installations. 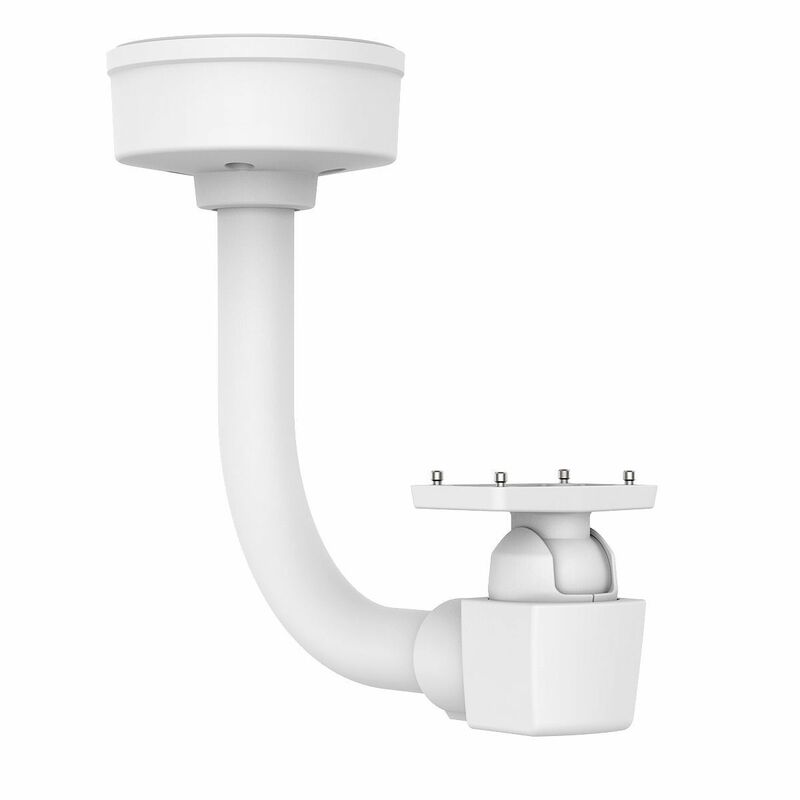 This allows Axis’ fixed camera housings to be mounted under hard surfaces such as ceilings, beams, soffits and canopies. It can also be mounted on pole or column tops, parapets and other horizontal building structures. Re-direction and maintenance of the camera is easy thanks to the swivel arm feature. The cable is routed through the pipe, and is never exposed to weather or potential vandalism. Cable conduits and Axis’ conduit adapters (3/4” dimension) are used for cable protection when routed from the side.